And this card didn’t end up happening...ugh. Upgraded a few lately. Now looking for a Brissie and Boudreau in PSA8. Need about 50 1964 Topps and 100 65 Topps to complete set. Also slowly working on a 1964 Topps Stand Up set 50/77 . Need to upgrade a couple 1969 Supers. Any help.... Have cards to trade or buy. Hoping to knock out the '57, '65, and '72 sets in 2019. I needed only six cards to finish my 54 set and for Christmas my secret Santa got me two of the four commons I needed. Then my brother surprised me with a gift of two more commons that just happened to be the other two that I needed after my secret Santa sent me his two. So now I'm just down to the Aaron and Banks rookies. I'm sure I can get a Banks in my price range but the Aaron is out of my range so it'll be a while until I actually complete the set, but I'll be happy at 249 until then. Completed the Basic PSA player registry set of Allie Reynolds. Down to 1 card in 1953 Topps - #244 Willie Mays. Also down to 1 card in 1949 Bowman - #224 Satchel Paige. After these two, will be looking for a new project. Need about 100 for 1963 topps. Maybe that's next. Congratulations on some good progress! You building in graded or ungraded? My sets are always a mix. Hallelujah!!!!!! My 1957 Topps set is finally complete after acquiring PSA 7's Bobby Richardson and Don Zimmer at nice discounts via the recent 15% off ebay coupons. This took a lifetime to accomplish, so I am feeling lucky and a bit psyched!!! Robert the sets are raw but I have a couple graded in both, same with my 57, that I finished finally in 2017. these 3 sets are in decent shape so I think that's why its taking me so long to finish them. jolly that 57 Richardson was a tough card wasn't it. it was 1 of the last cards I needed also for the set and I think I got it in SGC 7 grade. Thanks, Fred. Yeah, it's one of those perfect storm sorta things for sellers. Not only a Yankees rookie card (of a player going down in history for grabbing McCovey's line drive to end the 1962 World Series) from an extremely popular set, but it happens to be in the tough middle/high-series. Oy vey. 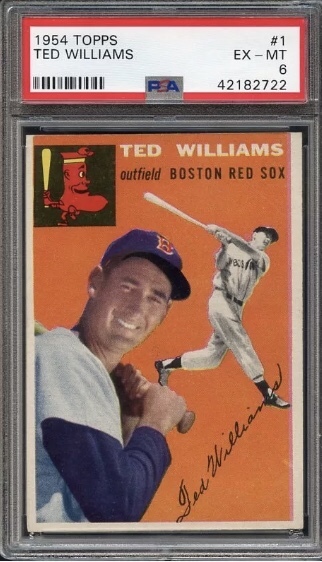 There are plenty of them on ebay, but the asking prices for ungraded ones are pretty crazy, so I made a decent offer on a PSA 7 and used the 15% off to make it a nice get in the end. I know this should normally go in a different forum area... but I'm trying to avoid posting in areas that wouldn't be seen by the right people. Please DM your lists of what you are trying to fill and I will respond first come first serve. 1962 Topps "super" is registry name for master set plus green tints. What #s do you need for 1976? What card #s do you need for Post? Wow, my thread from way back is still alive. I dropped out of the card world for a bit there (classic car collecting kills card budgets...lol), but I AM BACK. Excited to be back as well. I sold all my sets 1967 and older (turned them into a completely restored 1963 Ford Falcon Sprint to add to that collection), and kept my 1968 to 1990 Topps sets. Currently working on 66 and 67 at the same time and just made some purchases to get me going (jumped right back into the deep end of the 60's pool..lol). So happy to be back, I missed it terribly. I can say though taking the break I did has really re-kindled my love of the hobby. Looking forward to joining back into the fray...right in time for spring training. I was wondering what happened to you. Glad you are back! Robert - in the spirit of you and I changing our minds on things every few weeks - wanted to let you know I'm reconsidering doing sets again. Bottom line, I think I need to find a way to be happy, to find the value in common cards. Because after this last month or so, if there is one thing I have learned - it's that I can't really afford myself or my hobby if I continue to only go down the road I have been. Last edited by jchcollins; 02-20-2019 at 12:58 PM. Welcome back to the set builder side, John! I have tried to escape but just can't do it. It's just too much fun! Felt good to see an envelope in the PO box! Finally finished the 55 Bowman set!!! I didn't realize it took so long but after checking old posts I completed my 55 Bowman set in a little over 3 years. The set includes all error/variations. My goal was to get every card from fellow Net54 members. I would like to thank everyone I got cards from. Not sure if I will ever try to put a set together card by card again because of the cost but it was fun. Congrats. I finished the same set a few years ago, and I think it took about two years in total, trying to find deals on ebay for EX condition cards. It was the first set I had worked on in twenty some years and cost more than any of my other ungraded sets, since prices had climbed. My last five cards were umps and the Johnson variation - how about yours? Since I got them all from forum members I just bought/traded for any I could find when I could find them. For me condition did not matter so there is everything from near mint to my Mantle that has a chunk the size of a 50 cent piece missing out of the back. The Ernie Banks(2nd to last card) was the hard one for me but umpire Frank Dascoli was my last card. I never kept track of prices but i know it would have been way cheaper to just buy a complete set. Most of the extra $ came from all the shipping charges. Congrat Ben! What a cool set...I haven't tried that one yet...hopefully soon. VERY cool. 1971 Greatest Moments. What a mountain to climb. Way to stay with it! I finally polished off the 1953 Bowman color set this past weekend with a decent Bob Feller at a good price. I'm starting work now on the B&W set. Shouldn't be too much trouble. Just picked up a 1953 Topps Johnny Podres to complete the set for my brother!! And then there was one. I just need one more card to finish my 1955 Bowman baseball set. A mid grade Banks will complete the journey. Just completed 61 Topps. The highs were not too bad. Was given about 50 highs and semi high's that were pasted into a scrapbook that damaged the backs. None were stars/HoF's and I can't read the backs w/o my reading glasses in a brightly lit room anyhow. For the last card, I was in 2 ebay auctions, Jim Gentile and won both. One is PSA 6 and raw VGEX and they were closer in price that I would think. Over the past year, I've been slowly building the 52 Topps set. I focused on the low number stars initially and I'm currently only searching for a Pafko and Berra after today. I decided to pull the trigger on Deepstep19's Mays, so that's one of the larger pieces down. Trying to stay in the 5-6 range for all graded purchases. Have lucked out on a few fairly priced high grade raw lots as well. Around 30% complete, so I have plenty of hunting to go.